Aloha! After a couple of days on Oahu, we flew to Maui to visit one of our longtime sponsors at www.OneMileRunner.com, Maui Jim Sunglasses www.mauijim.com. 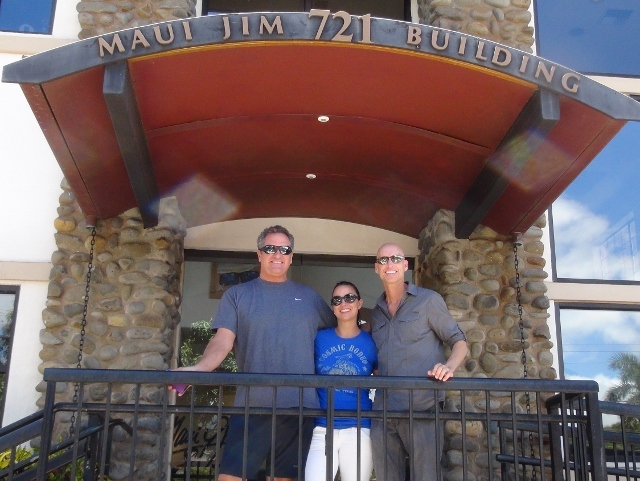 It was our first time visiting the location where Maui Jim began in Lahaina. Even though Maui Jim moved its headquarters to Peoria, IL after purchasing RLI Vision in late 1996, the Hawaiian culture and way of life that Maui Jim promotes dates back to its roots here in Lahaina. 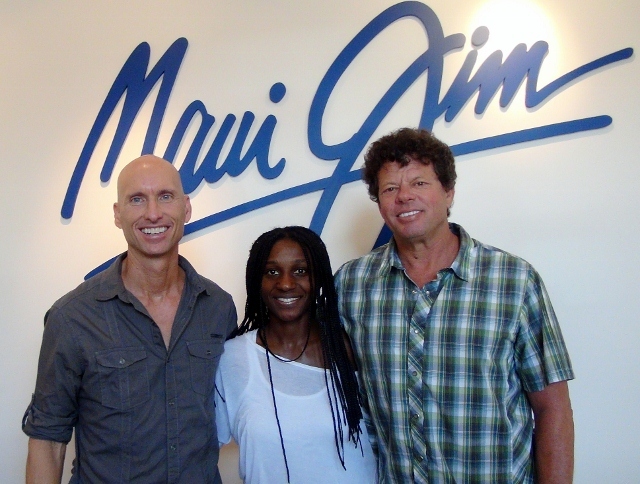 Having an opportunity to meet the owner and CEO of Maui Jim, Walter Hester, and his entire Lahaina staff was a treat for Sekyen and me. We felt the warmth, hospitality, and care that Maui Jim prides itself in everyday with its superior customer service and employee relations. Being a Fitness Ambassador for the Maui Jim Team https://www.mauijim.com/teammaui.html called ‘Ohana (Hawaiian for family), I was asked to test out a new pair of sunglasses called “Hot Sands.” Even though “Hot Sands” will not be available for purchase until later this year, you will see me testing out the model during the last leg of The 2012 Isles Mile Challenge on the Big Island this Saturday. Sekyen and I wanted to say a special thank you to Ruthie Belden, Executive Assistant to CEO, who took the time out of her busy schedule to show us around the facility and share with us the values of Hawaiian history. Mahalo! Thanks for your review of the Maui Jim “Hot Sands.” I am glad that you like the sunglasses for your running – a great choice and addition to your running equipment. All the best with your racing and Go Sox (home opener tomorrow)!